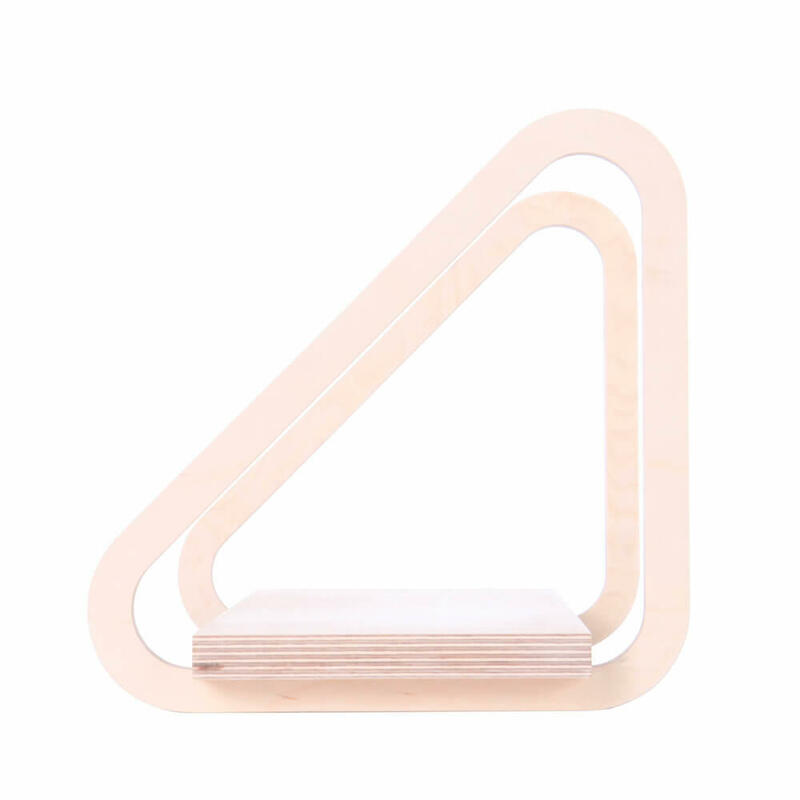 The beautifully made Triangle Shelf is a brand new design from up-and-coming design studio Geometrie. 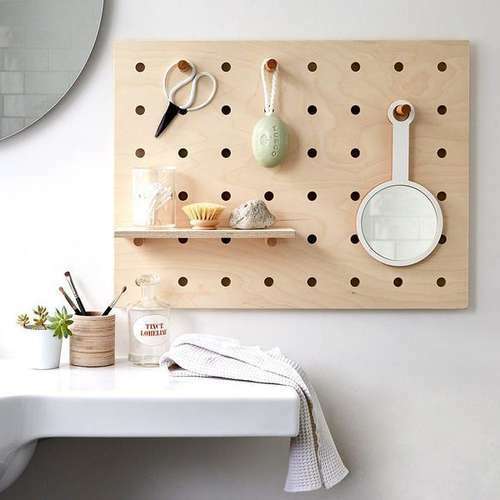 The unique modern design is perfect for adding practical yet stylish storage in any room. 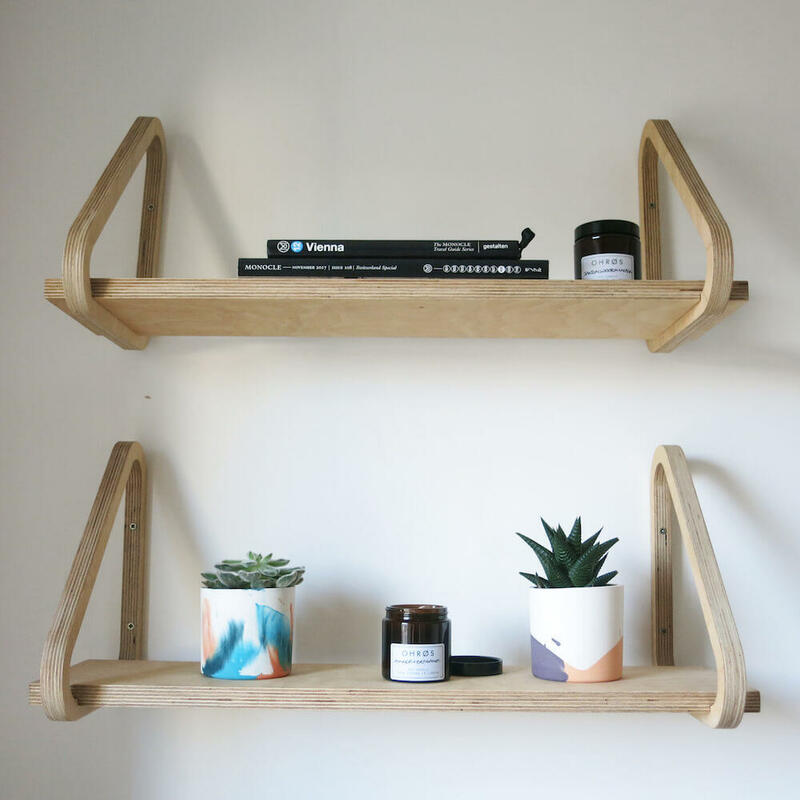 Simple, minimalist design that’s made to last. 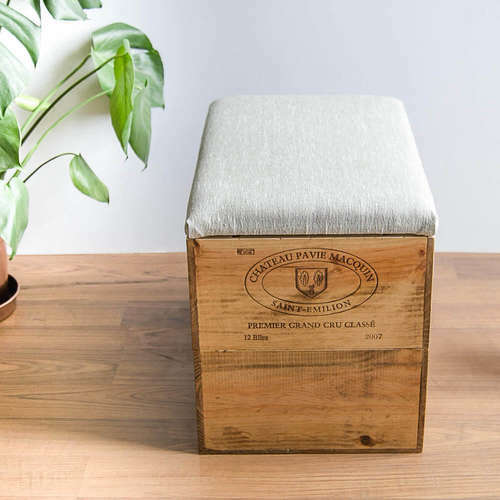 Crafted from high quality birch plywood, each piece is made with an extraordinary level of care and attention to detail. The edges have been smoothed with fine sand paper, while corners have been given a slight bevel to ensure safety and comfort. The components are then hand finished with oil, which protects the natural colour and beauty of the wood and provides a lasting matte touch. 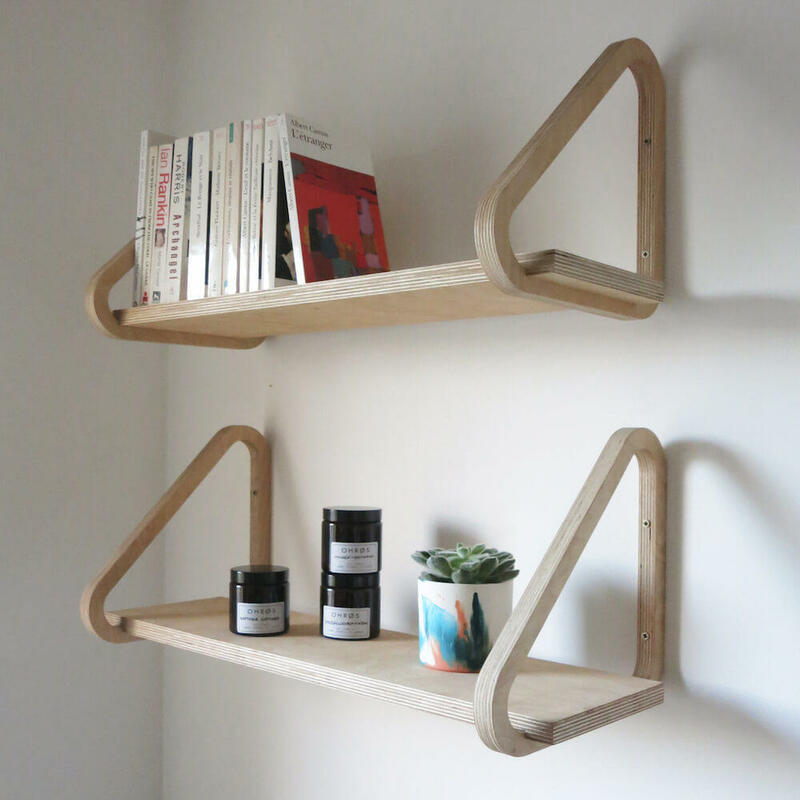 Two pre-drilled holes in each bracket allow the shelf to be easily fixed to the wall. 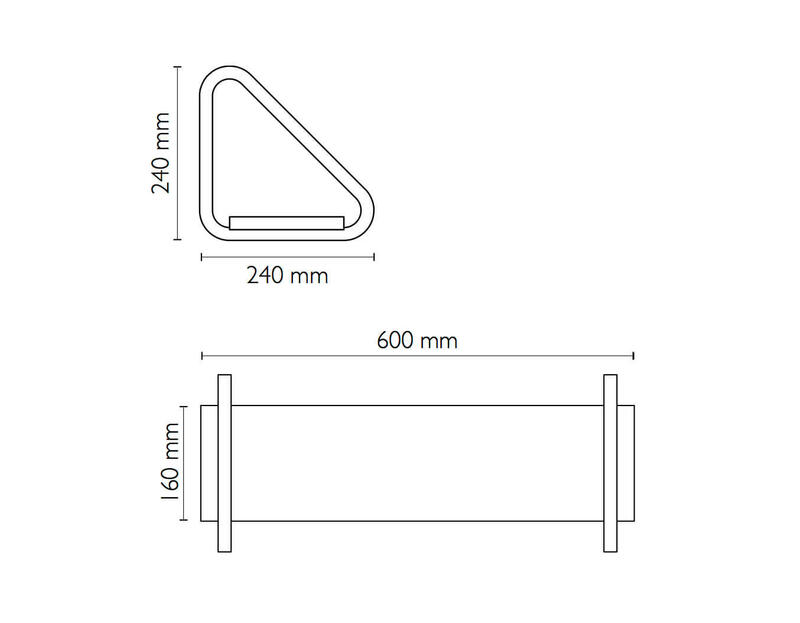 A 5mm deep pocket ensures each shelf slots comfortably into the brackets. 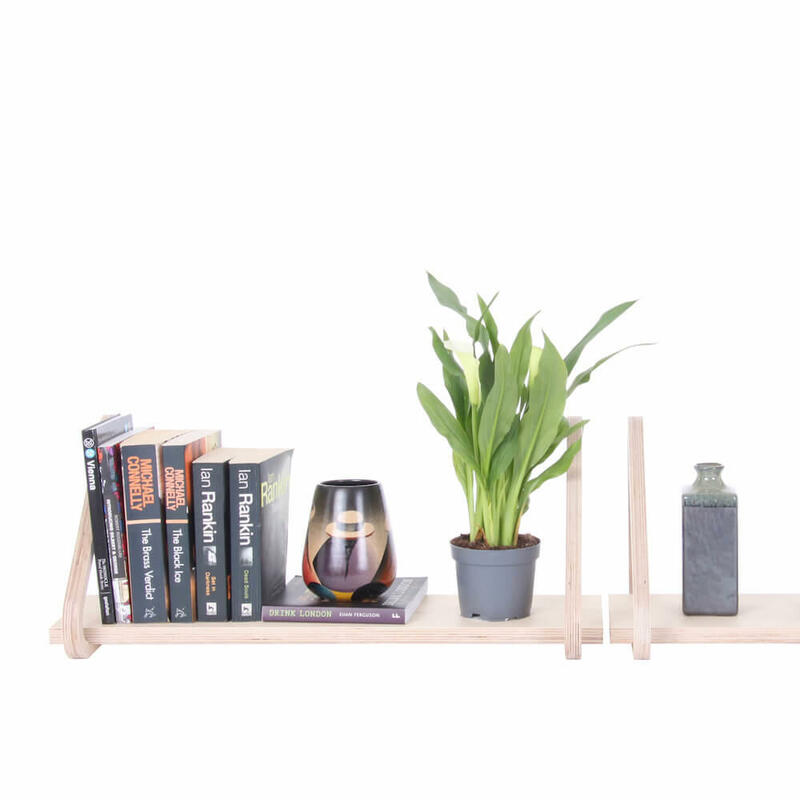 The shelf is sold flat packed and includes wall plugs, screws and an allen key for easy assembly and installation. 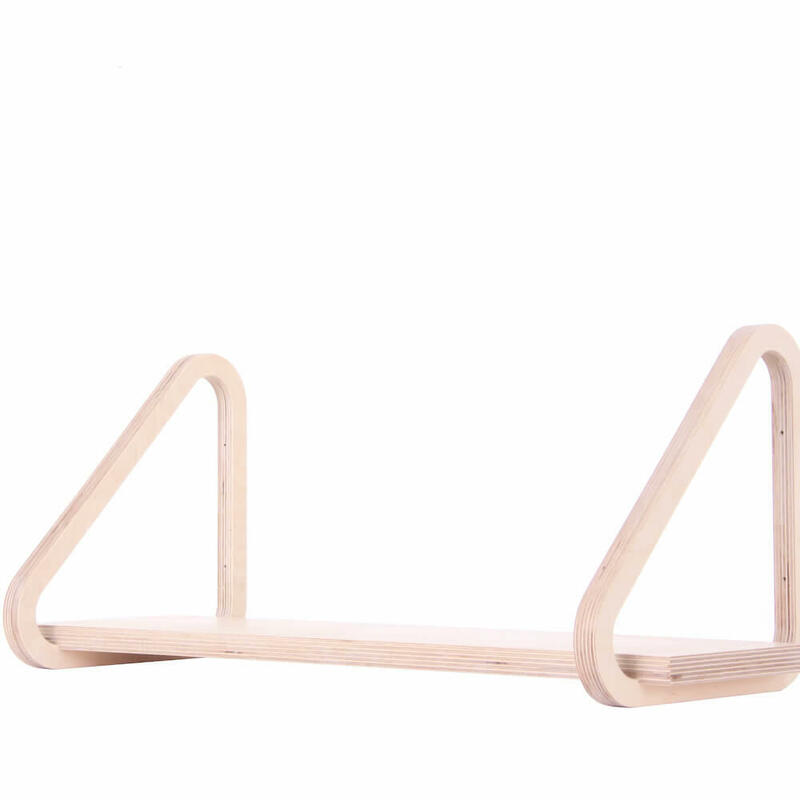 Dimensions - 60cm W x 24cm D x H 24cm (shelf depth 16cm). 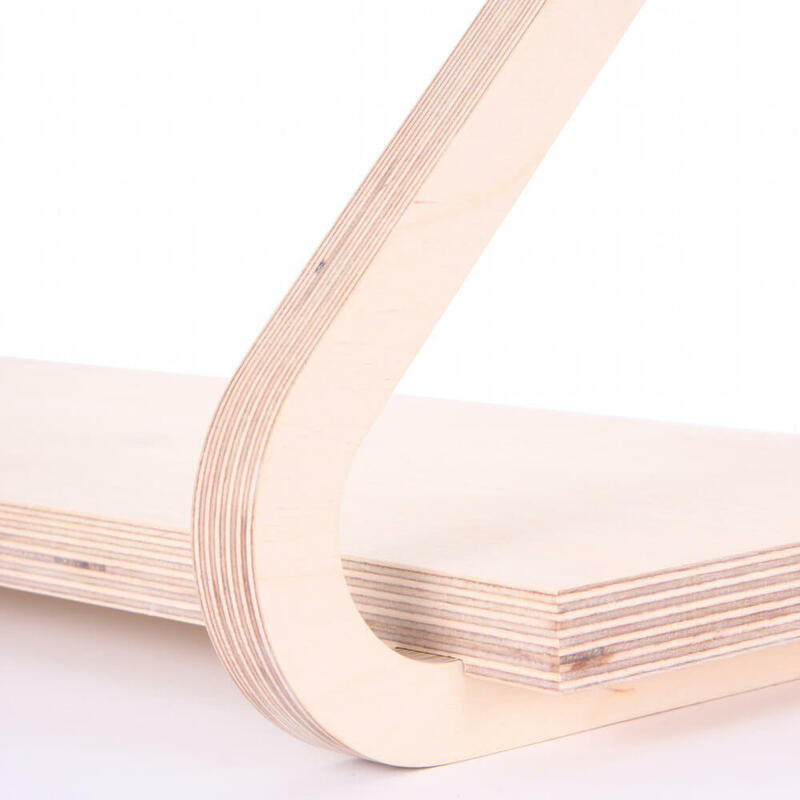 Materials - Top Grade Birch Plywood.